A slight fever nearly prevented me from receiving my 12th IV infusion for Crohn’s Disease today. The treatment works by suppressing my immune system, which can make it dangerous to receive if my body is already fighting an infection. I haven’t been feeling great lately, but I finished my latest antibiotics course two weeks ago, so I was hoping it wouldn’t interfere with today’s appointment. 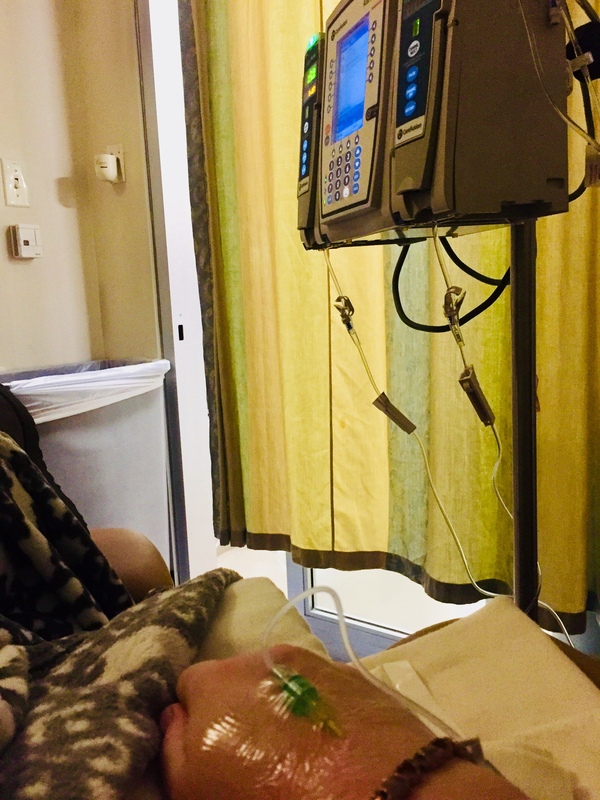 The nurses were ready to reschedule, but since this 6-week regimen is finally working to control many of the more unbearable GI symptoms, I really didn’t want to postpone. Thankfully, my doctor gave the go-ahead. My veins were not super cooperative today, and the nurse had to use my hand. But I was able to put on headphones and drift in and out of sleep, while the medicine dripped into me. As always, I’m deeply grateful for my dear friend Kelley, who takes me to these dreaded, hours-long appointments and keeps me company. Today’s #OneGoodThing was narrowly getting approval for the treatment I needed today. Day 332 of 365. And Day 1,063 in a row (here’s the first 366 & the following 365)!